Jayce - Leader of the Lightning League. He possessed half of the magic root, as well as the Ring of Light, a constant deus ex machina to the League's adventures. Audric - Jayce's father, and original master of Oon, he created the magic root and possessed half of it. He also accidentally created the Monster Minds and also co-created Flora and the early Lightning League vehicles. Gillian - A wizardly mentor to Jayce, co-creator of Flora and the early Lightning League vehicles. He later created additional Lightning League vehicles. He is both a wizard and a scientist, and is implied to be centuries old. Flora - A young girl created from a flower. She has telepathic powers, can sense Monster Minds and can communicate empathically with animals. Oon - A small Eternal Squire (magically animated suit of armor servant). Outwardly cowardly, Oon is nonetheless devoted to serving his master, Jayce. Herc Stormsailor ("Stormsailer" in some storybooks) - A mercenary in the vein of Han Solo who pilots the space barge Pride of the Skies II. He constantly hopes for the day he can finally get paid for transporting the Lightning League through galaxy; Gillian had tricked him into taking them by giving him gold colored lead bars. In the episode "Affair of Honor", it is revealed that he used to be an intergalactic commando. Brock - Flora's companion flying fish mount, which "speaks" in chirps and whistles. Zoggies - Flora's three pets, block-like techno-organic reptiles that sported lasers. Jal Gorda - An anthropomorphic alien spy who acts as a recurring guest character throughout the series. Saw Boss - The overlord of the Monster Minds, he can transform into an oversized version of the Saw Troopers, which is noticeably missing the prominent "stripes" seen on the Troopers. Terror Tank - Sub-boss of the Monster Minds, he oversees the Terror Trooper clones. Gun Grinner - Sub-boss of the Monster Minds, he oversees the Gun Trooper clones. KO Kruiser - Sub-boss of the Monster Minds, he oversees the KO Trooper clones. Beast Walker - Sub-boss of the Monster Minds, he oversees the Beast Walker clones. Saw Trooper Commander - A rarely appearing sub-boss of the Monster Minds, he oversees the Saw Trooper clones in Saw Boss's stead, while Saw Boss rules the entire Monster Minds. Dr. Zorg - An evil scientist who coveted Audric's technologies and worked for Saw Boss. The Lightning League vehicles can be driven by League members, but can also operate on pre-programmed battle plans without drivers through commands issued on Jayce's communicator. Armed Force - A vehicle with a large golden grappling arm mounted atop it. Gillian had intended it for Audric, but gave it to Jayce instead when Audric was unable to join the League. It seats two, unlike its toy counterpart. Another note about Armed Force's toy counterpart is a gimmick dubbed "Stack n' Attack". Any of the other smaller vehicles could detach their wheeled chassis and attach to the top of Armed Force (a promotional comic in He-Man magazine showed two vehicles stacked atop Armed Force, though this was physically impossible using the toys, as only Armed Force featured two lined up holes suitable for another vehicle's underside to attach into). This never happens in the show; instead, the phrase "stack n' attack" refers to the Lightning League vehicles being able to exchange weapons mid-battle. Drill Sergeant - A two-seater vehicle with a drill to dig tunnels. It is also equipped with two pop out guns in the front of the cab. It is driven in the opening sequence by Flora, who seems to prefer it, as does Gillian. Quick Draw - A vehicle with a concealed gun in a shield atop the vehicle, and an extended arm at the front that potrudes a spiked wheel for digging. Gillian drives it in the opening sequence, but it has no regular driver in the series. It seats one. Spike Trike - A three-wheeled vehicle built for speed. Similar to a half tracked dune buggy, it had a pair of crunching spiked wheels at the front that lift on a single arm. 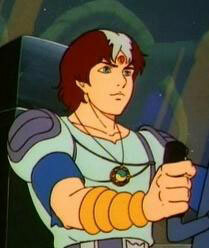 Herc drives it in the opening sequence, and it is his vehicle of choice during the series, as well. Trail Blazer - A large, four-legged vehicle with a front-mounted battering ram, capable of carrying the smaller vehicles. It usually seats one, but has occasionally been seen with unused seating for four. Trail Blazer was stronger and more durable than the other vehicles, but was used much less often for reasons never disclosed (unlike the expenditure of resources that served as an excuse for the more rarely used larger vehicle troopers of the Monster Minds). Trail Blazer is depicted as much larger in scale with the other vehicles than the toy counterparts. While the toy version of Trail Blazer could carry a single smaller vehicle on its back, the cartoon counterpart could carry four of the smaller vehicles within its body, via a platform that lowered from its underside. Battle Base - A mobile fortress that houses all the other vehicles and is usually attached to the Pride as its bridge. The main weapon is a large elevating gun turret. 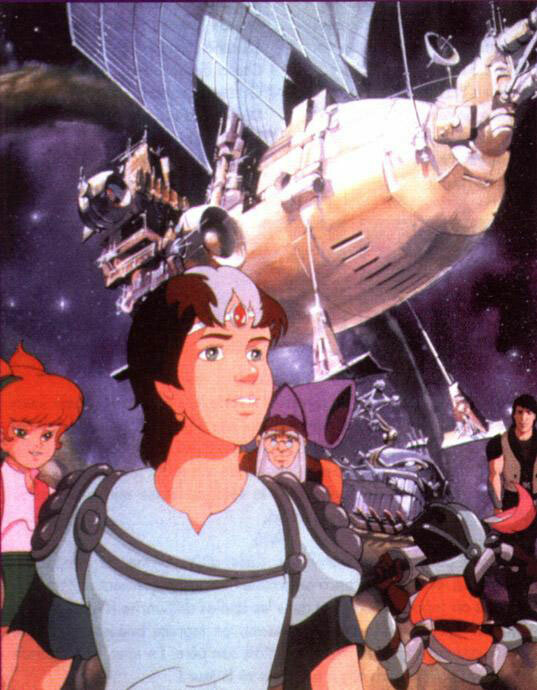 Battle Base, like Trail Blazer, is of a much larger relative scale in the animation than in its toy form. The toy for Battle Base had three garages that could each hold a single smaller vehicle, and its control bridge seated two. In the series, not only could Battle Base contain all of the smaller vehicles, but even Trail Blazer was seen to be able to enter it. The bridge was a rather large full room. Fling Shot - A vehicle equipped with a catapult, built in "The Stallions of Sandeen." A toy was designed, but never produced. Spray Gunner - A vehicle with a cannon that sprays various fluids, that was added later in the series, but has no introduction episode. The toy did not reach the production stage. Motor Module - A low-riding vehicle with a powerful drive system, often used to field repair other vehicles, or to haul loads in an attachable trailer. It was added later in the series, but has no introduction episode. 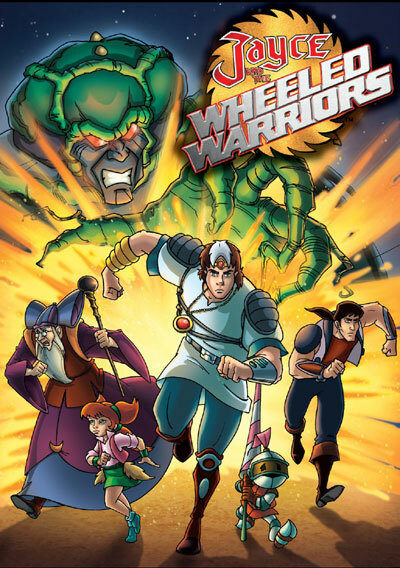 The toy did not reach the production stage, but was designed to be motorized, and could "Stack-An-Attack" as Armed Force could (the toy version of the gimmick remained unused in the cartoon). Pride of the Skies II - Also known as "the Pride" for short, it is the space barge owned by Herc Stormsailer and home to the Lightning League throughout the series. Space Scooter - a small air-bike. Generally, Monster Mind battles are carried out by clones of the main Monster Minds that are grown from vines. Saw Boss is able to communicate with these clones (and communicate with others with a clone as a medium) telepathically. These clones are referred to as "troopers"; Saw Trooper, Terror Trooper, K.O. Trooper, etc. The true Monster Minds change from their humanoid forms into vehicles upon leaving their headquarters, although they are significantly larger and more powerful than their mass-produced clones. Saw Troopers - Vehicles with a large buzzsaw on a rotating stalk. Terror Troopers - Tank-like vehicles with a large, venus flytrap-like mouth mounted on the body. Gun Troopers - Vehicle with a cluster of cannons clenched in its teeth. The main weapon was a multi-headed spiked flail mounted on top of the body. K.O. Troopers - Truck-like vehicles with a large wrecking ball-like stalk. Beast Walkers - Large, four-legged vehicles with a front-mounted claw weapon that are the powerhouse of a Monster Mind clone army. They were seldom used, due to requiring more energy to spawn. Flapjacks - Van-like vehicles with a catapult; they were designed, but not produced in the toy-line. Lurchers - Vehicles with a front ram, again, not produced in the toy-line. Snapdragons - Smaller four-legged walking vehicles with front-mounted "petals" that opened like a flower to expose a laser cannon. Battle Stations - The Monster Minds' answer to Battle Base, it was unproduced in the toy line. Used in only one episode as it took enormous amounts of energy to spawn. Cruisers - Larger Monster Mind spacecrafts. Scouts/Satellites - Smaller Monster Mind spacecrafts. Both names referred to the same vehicle type in the animation. Drill Vines - Small rocket craft with a drill nose-cone, containing a Monster Mind vine cluster, which were used to penetrate targets and release a growth of vines. Pods - Plant-like insertion craft launched by Cruisers or Scouts, when Drill Vines are not called for. Space Fighters - Small Monster Mind starfighters, used much less commonly than Scouts. Expansion Vines - Large vine growths used to infest a planet and spawn Monster Mind Troopers, also sometimes used to connect planets through open space. Spore Vines - Not as large as Expansion Vines, used to deploy biological weapons in the form of gases. Recepticles - Block-like plants that are used to form a teleportation point for Saw Boss's headquarters (originally Audric's lab). Brains - A small plant mass with a single central eye, used for communication by Monster Mind agents of other races. "Thundering across the stars to save the universe from the Monster Minds, Jayce searches for his father to unite the magic root and lead his Lightning League to victory over the changing form of Saw Boss. 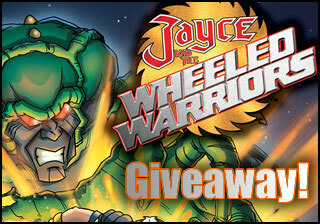 Wheeled Warriors explode into battle - Lightning Strikes!" Keep on rollin'! Keep on rollin'! There's no turning back, we're goin' all the way!